Home / Blog / Who Invented Chess? Many modern board games have a single inventor — either a person or company who designed the game and its rules. Chess, however, is a bit different. It does not have a single inventor. It has been around for millennia in one form or another, with various cultures and organizations slowly making changes to the rules, with the eventual result of the current form of the game. As such, the question “who invented chess?” deserves not a one-word answer, but rather an in-depth look at the history of chess and various historical theories as to its true origins. Historians are not in complete agreement as to where chess originated. Evidence of several ancient games resembling chess has been unearthed in both India and China. The predominant theory is that chess originated in India, but there are several reputable historians who strongly disagree and instead support a theory of Chinese origin. Chess was probably developed out of an ancient Indian game called Chaturanga. This game consisted of a board with 64 squares. It was played by four players, using pieces that represented various members of the army. The six types of pieces were elephants, horses, chariots, foot soldiers, the king, and the king’s advisor. Chaturanga was popular in India by the 6th century AD. It is the first-known game in which different pieces had different powers and abilities — one of the hallmark features of chess. Historians who believe chess originated in India think it then made its way to Persia around 600 AD, and to Spain around 700 AD. Those who believe chess originated in China are in the minority. They claim chess arose from a game invented around 200 BC to represent a specific battle involving commander Han Xin. They also point to ancient manuscripts that mention a game similar to chess. This is long before chaturanga is thought to have originated in India. These early Chinese games do have some resemblance to chess. They were played on boards with multiple squares, but the pieces were placed at the intersections of the dividing lines, not within the squares themselves. The question seems to be whether these early Chinese games spread to India and influenced the development of chaturanga, or whether chaturanga developed independently. How Did Chess Reach Its Current Form? Whether chess originated in India — or originated in China and spread to India — it had to undergo a lot of transformations to become the game it is today. Most of this development happened in Europe. The game was introduced to Spain by Moorish invaders in the 700s. Around 1100, the board was modified with light and dark squares, and in 1125, a priest invented a folding chess board so that other priests, who were forbidden from playing chess at the time, could play in secret. Throughout the Middle Ages, Europeans and Arabs made some changes to the rules to simplify and standardize the game. For example, they changed the way the elephant, which Europeans called the bishop, moved; it could originally move only two spaces on the diagonal. They also added the ability to move the king two squares, rather than one, and gave pawns the ability to move two squares on their first move. By the 18th century, western Europe was deeply committed to chess, and by the 19th century, it became a widely known game, often played in coffee houses. The true origins of chess remain somewhat of a mystery, but nonetheless, it is a game steeped in culture and tradition. Whether you believe chess originated in China or India, improving your chess skills will give you a greater appreciation for the game. 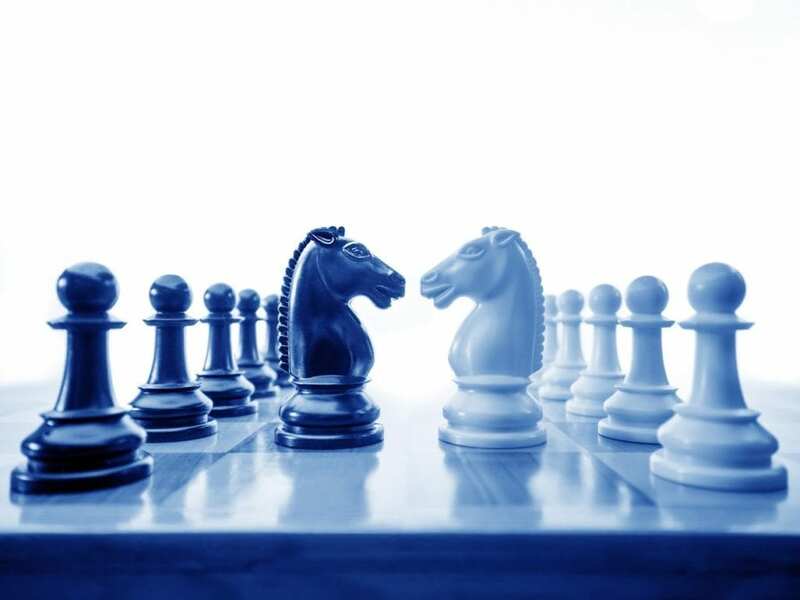 Contact Chess Teacher to schedule lessons and take your strategy to the next level.